In general, although the body does decay at the end of one’s life, the stream of one’s consciousness goes further onwards, if there is a cause. Most of the time, there is a cause, either by karma or by aspirations, but for most of us, by karma. Whatever the case, if there is a cause for the mind to continue its stream, then whatever that mind has learned or understood during one particular lifetime, all of that is never wasted or lost, it carries on forward. The key is to accept that everything is change, meaning yesterday is gone. The past is past. This is what ‘accepting impermanence’ means. The answer lies there. To convince ourselves or to be able to ‘sell’ this idea, we need proof, a guarantee. If you look at all the experienced ones, actual Buddhas and Bodhisattvas, they are that very proof. But if even they are not convincing enough, then I will personally vouch that it does work, and that it does not take long. It does not take aeons, it does not take years or days even. It works right here, right now. All you have to do is truly give in to change, give in to impermanence, and give in to that truth. That’s all it takes! The practice of compassion is common to all sentient beings, even animals, so of course it goes without saying that it is common to all human beings. Compassion is a wonderful practice because it is a quality that is there in all of us, without enforcing any kind of religion or philosophy, and it can be applied by anyone. No matter where we come from, where we are, what kind of background we have, the practice of compassion is something that we can all apply. And most importantly, it becomes very useful when we have to deal with daily activities. 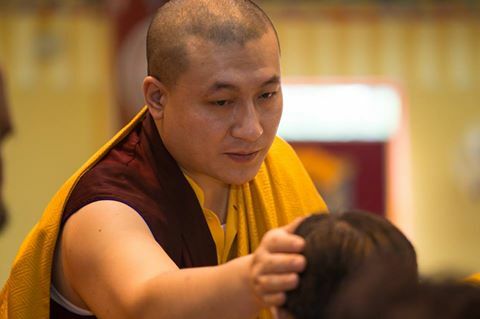 So of course, with the Buddhist practice, actually from the very first yanas of the Buddhist practice to the latest – what is known as Sangngag (Secret Mantra) or Vajrayana practice – till then, the Buddhist practitioner basically specializes in the field of compassion and wisdom. 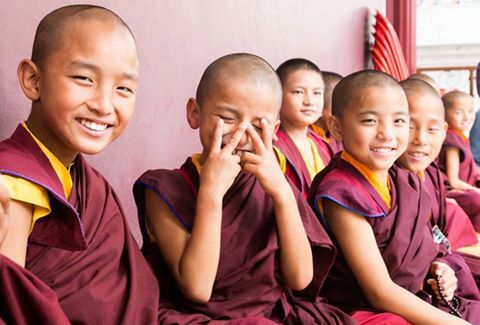 When we support the development of non-material values, we can see clearly how values such as nonviolence, compassion, dignity, community and family can help build a more balanced and beneficial future for all of us. We need to absorb and make sense of the fact that everything is in flux. This change is the productivity that we are supposed to gain, whether we are on a physical or mental journey. We have to come to understand that everything is change. Everything is, in fact, truly impermanent. In some way, at least, we have seen it; we might not be able to pinpoint exactly how we saw it, but we got a sense and a taste of it, which is the main thing. 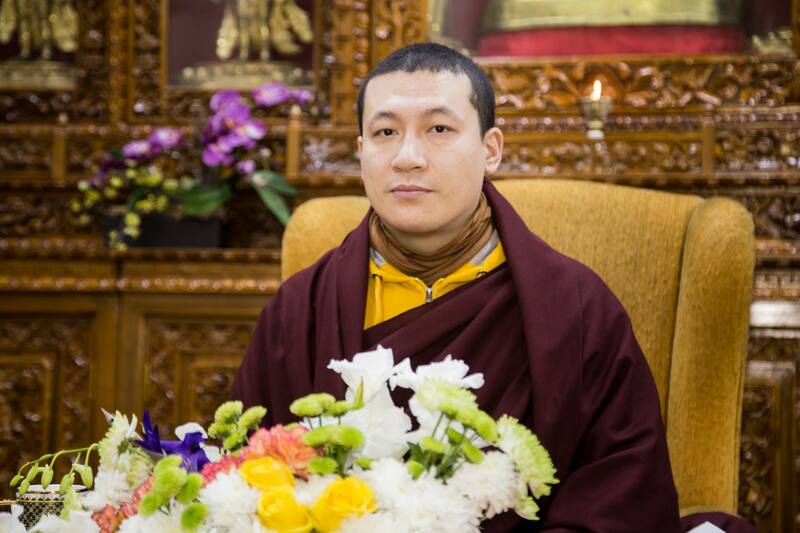 That is why I think the teaching of the Buddha, when he says ‘all compounded phenomena are impermanent’, is relevant when we recite Refuge; when we practice our breathing meditation or exercise; when we practice Chenrezig; or when we help someone by offering them a glass of water or a helping hand. It can cover all angles, all aspects of life, whether we practice or do something as simple as brushing our teeth, which we usually view as a repetitive daily process or habit. However, these activities too are meaningful, because they all have the potential to lead us to the recognition that ‘everything is change, everything is impermanent’. All compounded things, in this case means everything within samsara and everything within nirvana. Samsaric things are mostly the things that we have known so far; nirvanic things refer to the practice of Chenrezig, compassion, wisdom, meditation, and so on. When we have different people from different regions, different countries, the first thing that we must learn is, of course, the pleasantries. But, for me, I always thought that the best way to learn another country’s language is by learning their way of thinking, their culture, but most of all their humor, and how they understand their humor. Because I think their humor is really based on how they see things. It really depends on their perspective of life. So learning their humor, I think is probably the first step. So in language classes in schools, perhaps one of the first things should be about learning other countries’ humor!